ABOUT — Kelly L. Reddy-Best, Ph.D. 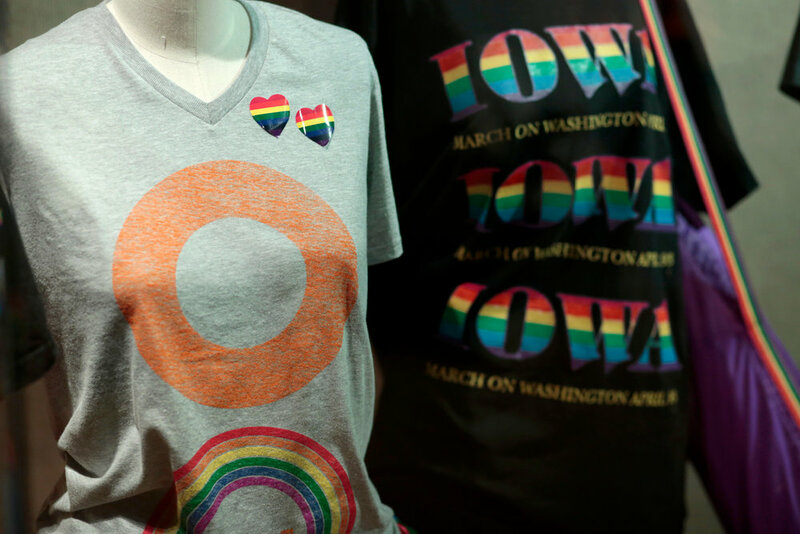 In Queer Fashion & Style: Stories from the Heartland, we analyzed the recent history of fashion through a queer lens by examining how queer identities are negotiated in everyday styles by women in the Midwest part of the United States from the late twentieth century to the present. This exhibition builds on the body of work on how queer identities, both personal and collective, are negotiated through dress and appearance practices. We focused on everyday styles and identity negotiations of queer women living in more rural areas where there is a lack of visible queer community. 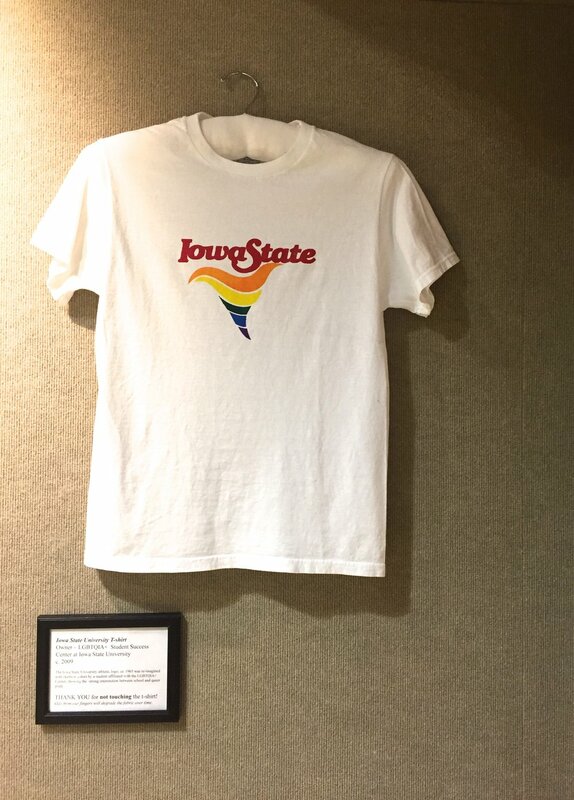 Because the 10,000 object Textiles and Clothing Museum at Iowa State University lacked documented representation from the queer community, we needed to first identify and acquire objects from community members. To do this, we developed a study that was approved by the Institutional Review Board at Iowa State University, and then utilized social media to request participation in the telling of people’s stories. 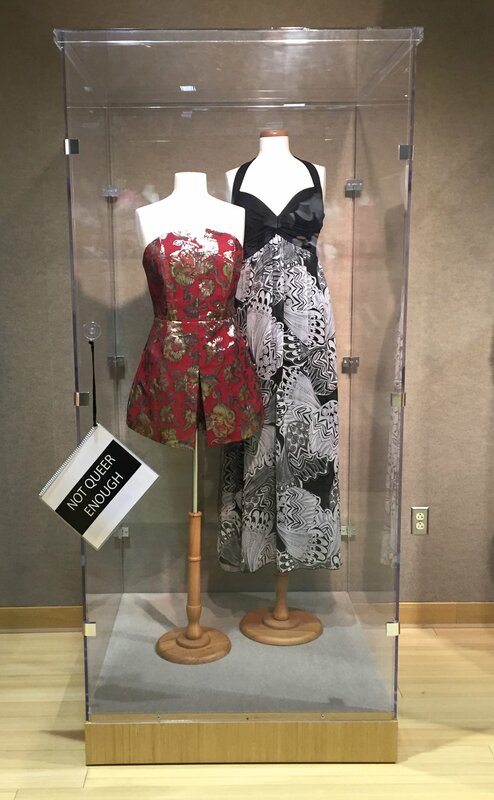 Twelve LGBTQ+ women (age 30 to 50) volunteered and completed semi-structured, in-depth interviews focusing on the history of their styles, and loaned or donated garments or accessories to the exhibition or permanent collection. The interviews took place near their closets where we looked through their belongings during the interviews. The women also shared photos from their lives that depicted their different styles. 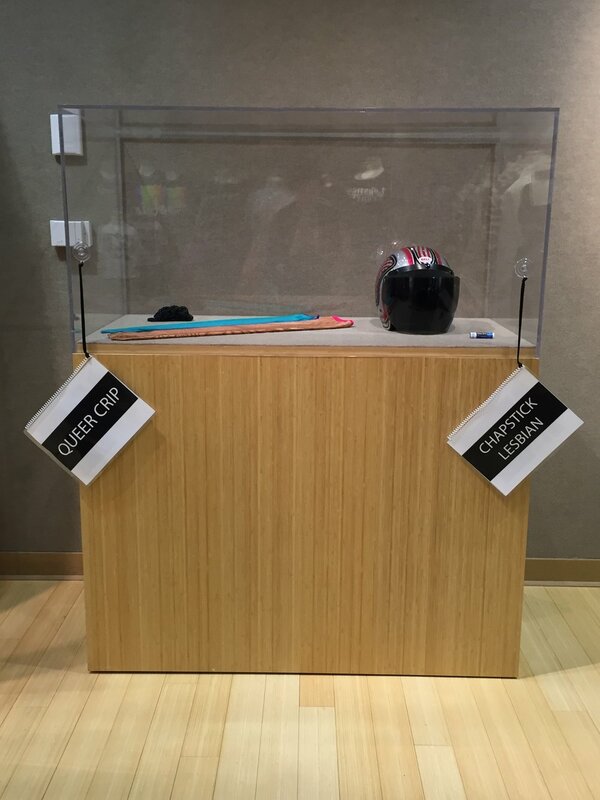 In addition to the previously mentioned study, we also put out a call for object donations to the general community. As a result, we had numerous shorter conversations with people about objects they were interested in loaning or donating to the exhibition. These objects and shorter conversations added additional context to some of the objects loaned from the participants in the formal study. We also worked with some queer fashion brands including TomboyX, FtM Essentials, Nik Kacy Shoes, and Rebirth Garments where they either loaned or donated garments to the exhibition and collection. We completed in-depth, oral histories of the queer fashion brands and the garments or accessories they loaned, adding context to the exhibition in relation to retail and retail history as related to the intersection of queer identities and fashion. Thirty-three dressed mannequins with shoes and accessories, a pride banner, photographs, and a short film of the women discussing their objects were included in the mounted exhibition. The 500 square foot gallery allowed for 9 themed vignettes: Fitting the Stereotype; Not Queer Enough; Celebrating in Ceremony; Queer Crip; Chaptstick Lesbian; Masculine of Center/Butch; Feminine Leaning/High Femme; Against the Skin; and Overtly Proud. The groupings reflect some of the long-standing ways queer women have fashioned their bodies, yet their stories also highlighted heightened awareness of their difference while navigating lives in small-town spaces. Involving community members in the exhibit allowed for a richness of diversity that broadened the usual exhibits of the university museum. Furthermore, involving community members allowed the opportunity for significant engagement and celebration of the ways queer identities are negotiated through dress, especially important within a university community in which diversity and inclusion are hallmarks of their mission. We are honored and grateful to be able to tell these stories. 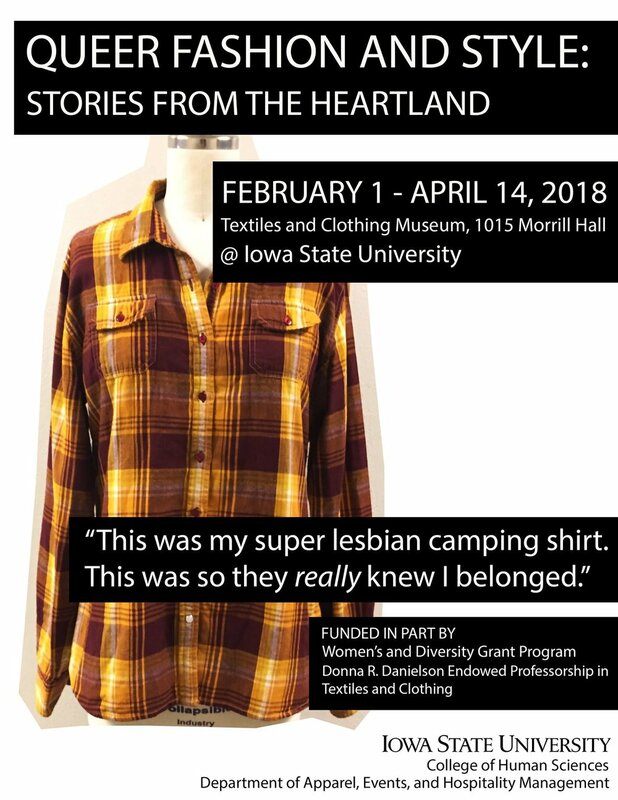 An 18 minute film produced for the Queer Fashion & Style: Stories from the Heartland exhibition that was at the Iowa State University Textiles & Clothing Museum from February - April 2018.